K and her fiance recently took a trip to Kentucky and visited the Jim Beam Bourbon Factory. They learned that during the distilling process some of the liquor is lost to evaporation and some to the barrel itself. The portion lost to evaporation is known as the Angel’s Share, while the that lost to the barrel is called the Devil’s Cut. 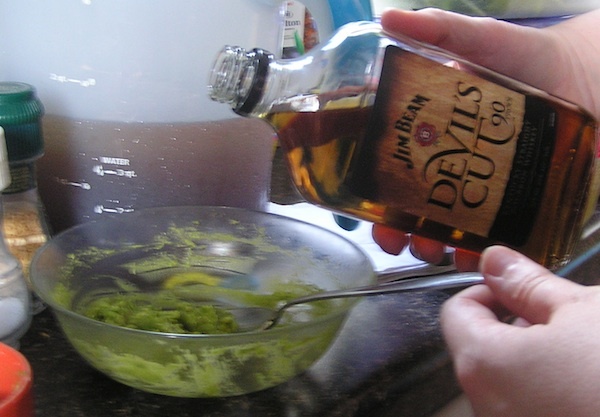 Well, those clever devils at Jim Beam have figured out a way to reclaim the Devil’s Cut and sell it in specially marked bottles. K, of course, bought one of those special bottles. And then she had a clever idea of her own for how to use some of it! 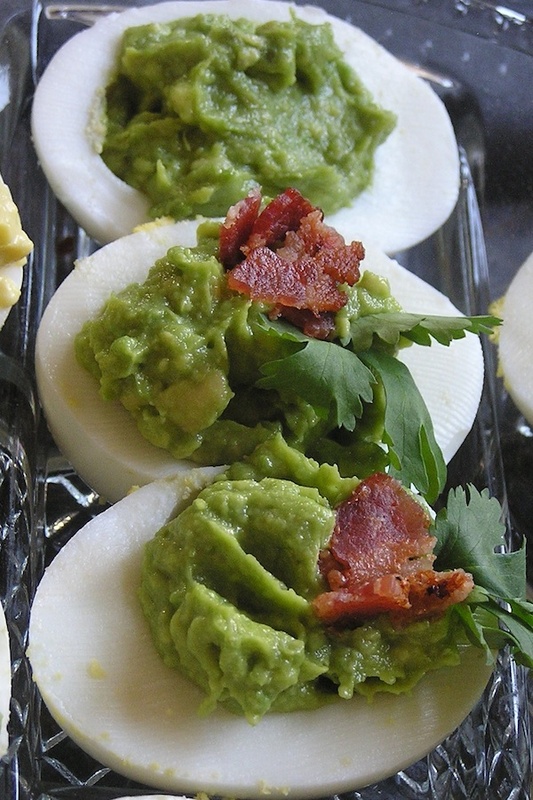 Instead of the standard mustard and egg yolk deviled egg filling, K made a filling using avocado and seasonings, added a little Devil’s Cut Bourbon, topped it with some bits of bacon (not to be confused with Bacon Bits), and a sprig of parsley for looks. WOWZA! Those are some devilishly delicious deviled eggs!! !